The path to Heroin addiction for teenagers most often begins with prescription drug misuse and abuse. The transition occurs when their prescriptions end and/or their supply of free pills runs short, and they then find it is cheaper to buy heroin than pills on the street. A survey conducted by Ohio State University incorporating 3900 college students was made public last October. In it, 70 percent of students said prescription drugs were easy or very easy to find. The statistic, and the trend of Rx drug misuse and abuse, should be reminder to all parents that substance abuse is not isolated to “that” kid. 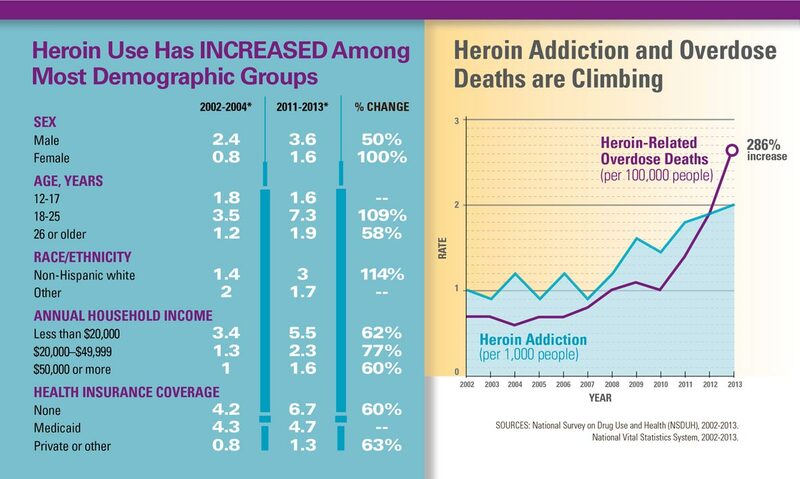 In fact, according to the CDC, heroin addiction (which is directly linked to misuse and abuse of prescription pain killers), is highest among 18-25 year old middle-class males. To learn more about the problem of Prescription Drugs on colleges campuses and what you can do about it, please see DrugFreeAZKids.org and their article, located here.